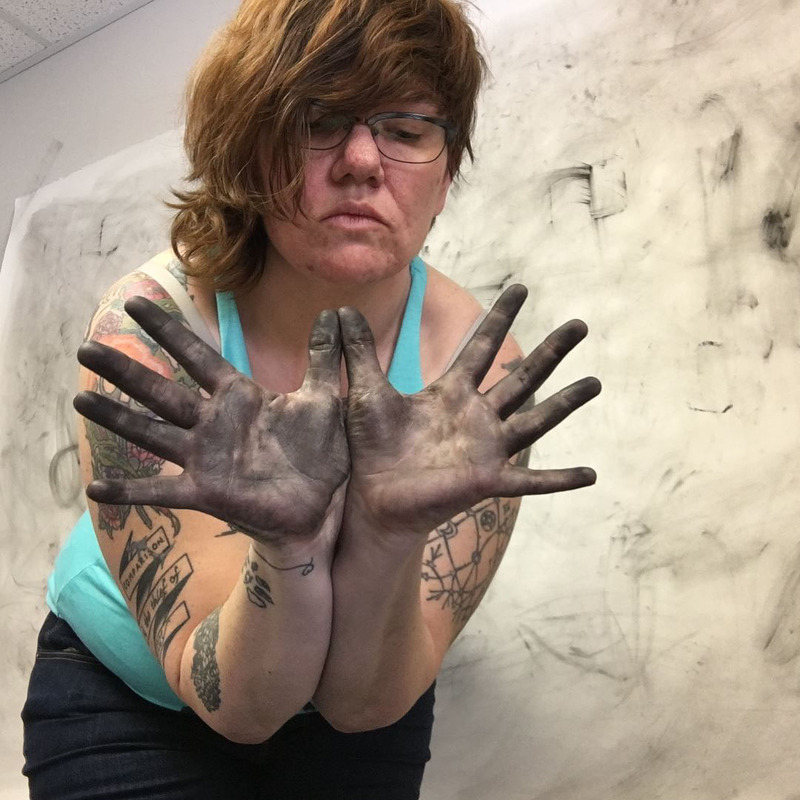 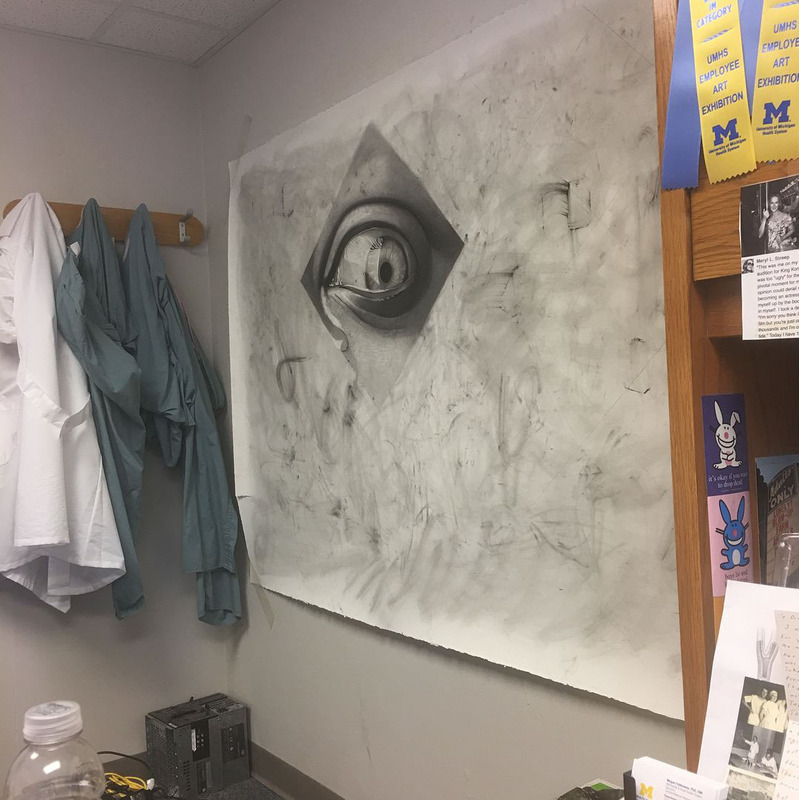 Follow along as I create this largecarbon dust drawing of my favorite thing - eyes. 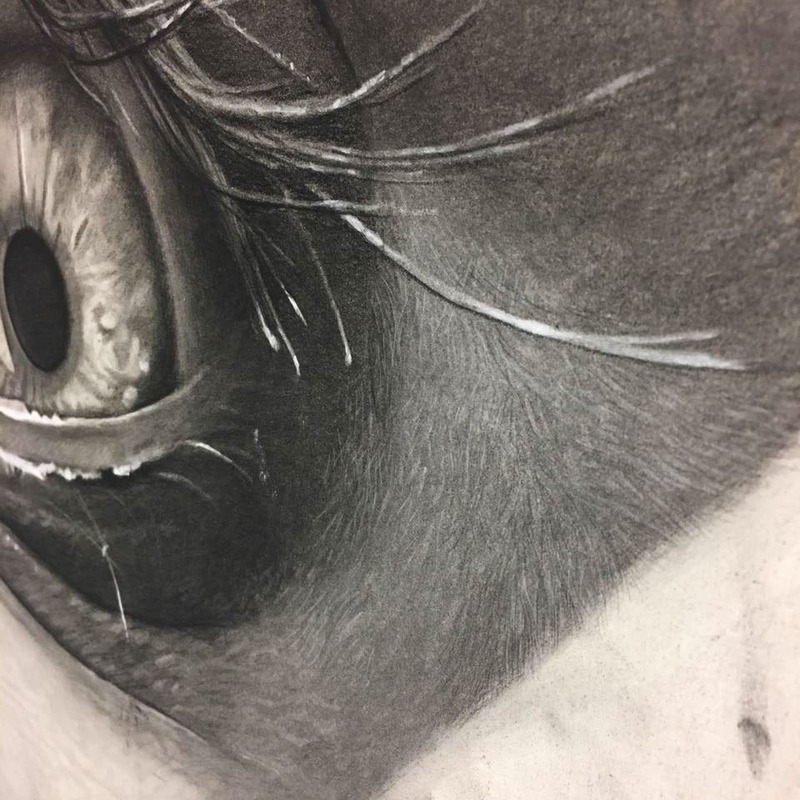 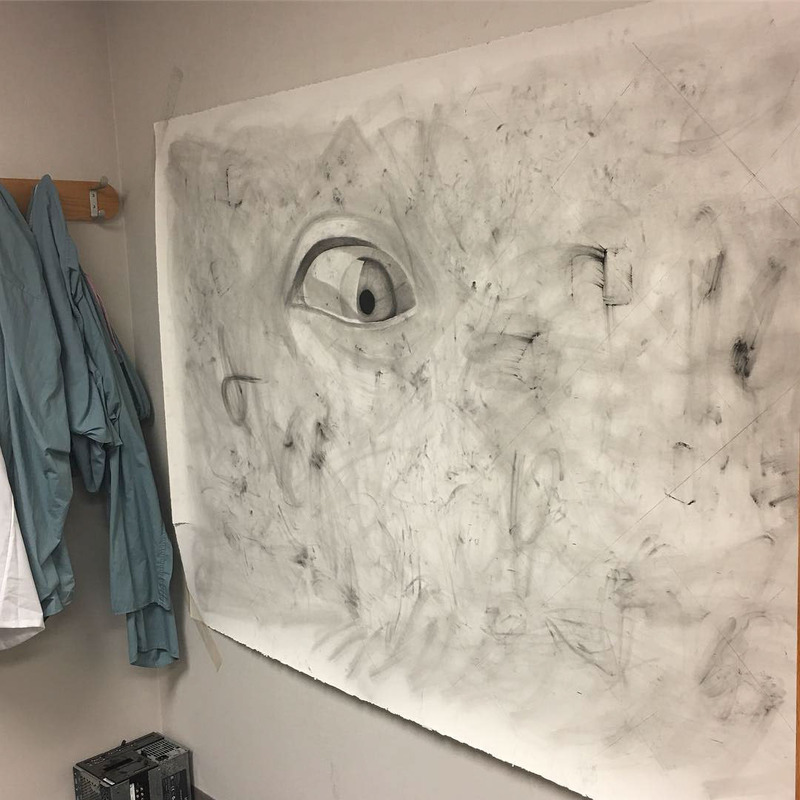 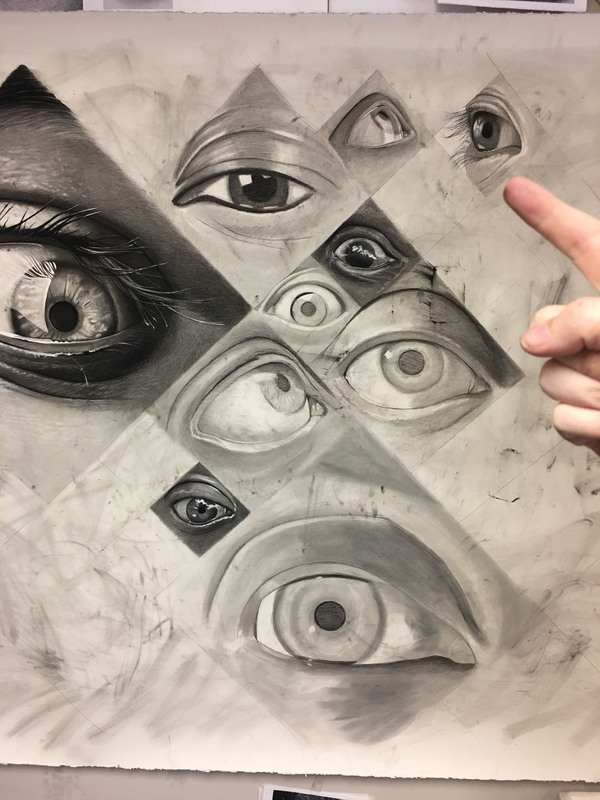 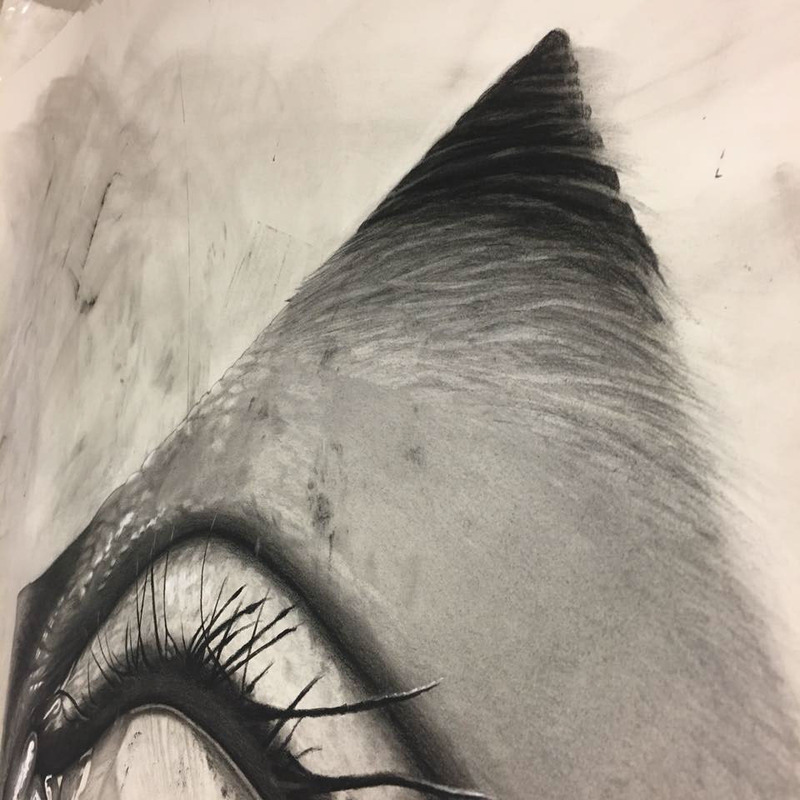 An in-progress, large, realistic drawing of eyes created with carbon dust (like charcoal), white chalk, and erasers. 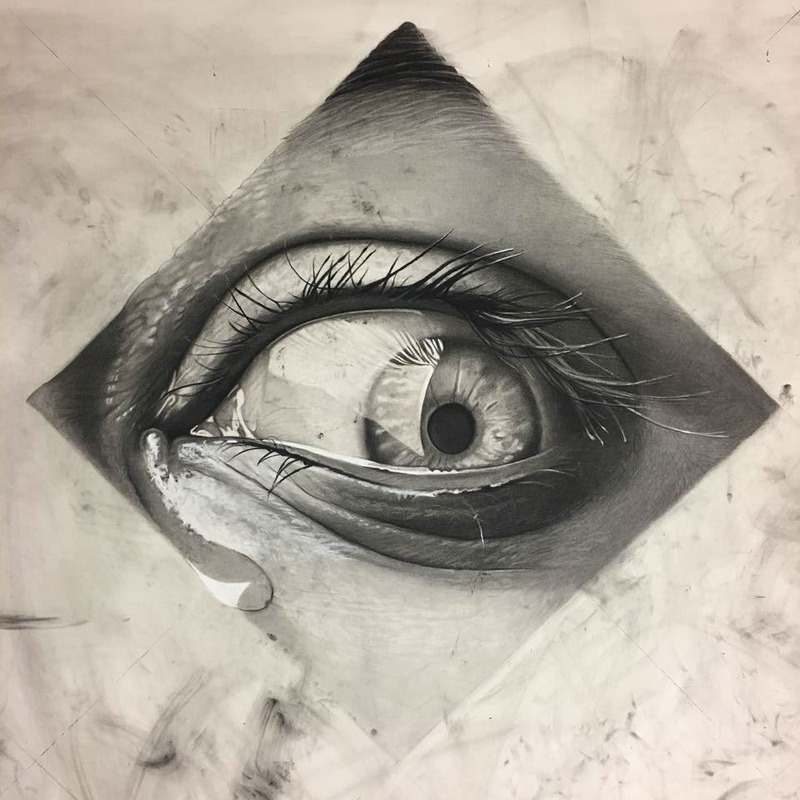 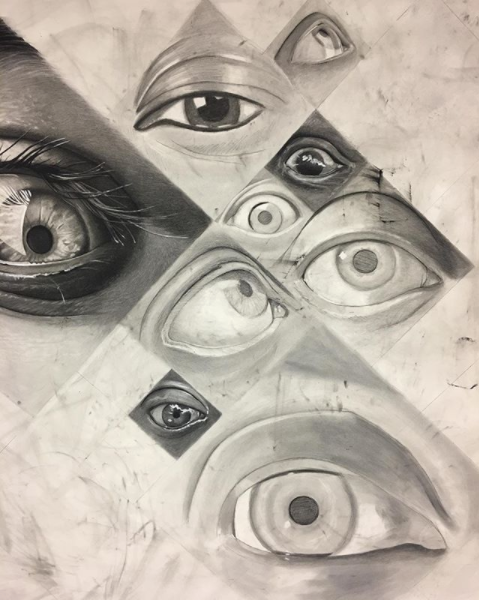 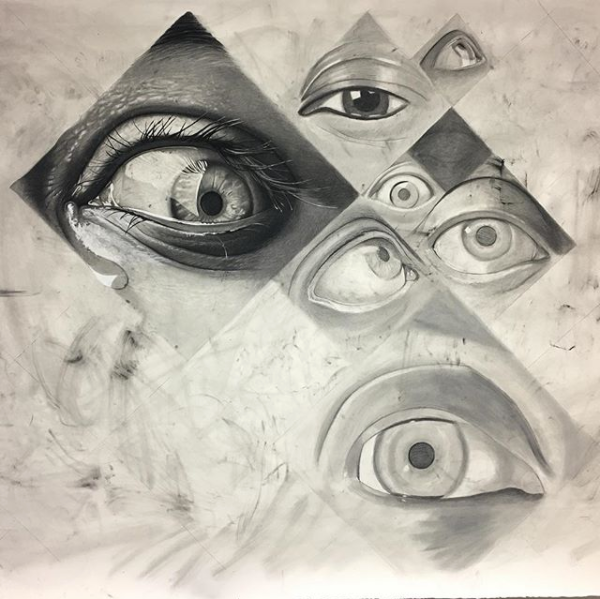 All eyes are created within a grid of diamond shapes on heavy watercolor paper.